New to Kiting / Safety is a place where those that are new to kiting or even just thinking about getting started can discuss topics and ask any question with confidence. 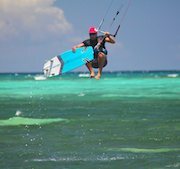 Experienced kiters and instructors are monitoring this forum and will answer any kiting related questions. There are no stupid questions here. 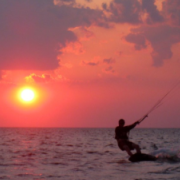 Also, safety topics will be posted here on a regular basis by certified kiteboarding instructors to help educate and keep kiteboarding safety top-of-mind for all of us. Love the idea, guys. I hope you lurking newbies take advantage of the wealth of knowledge out there. That's how I got better, arguably! Try starting with Jetty or Hunter for Northerlies and Double Bluff or Locust for Southerlies. See the "Beaches" link on the top right of the forum webpage for more info. Robert wrote: Try starting with Jetty or Hunter for Northerlies and Double Bluff or Locust for Southerlies. See the "Beaches" link on the top right of the forum webpage for more info. I second that... I just learned this summer, and those 4 beaches are by far the most beginner friendly. My wife is still getting the hang of things and she only goes riding with me at those 4 beaches... otherwise she let's me brave the other Seattle beaches (Keek RB, GG) that are a bit above my skill level. When you do start to venture out to the Seattle-intermediate beaches, always go with a buddy. I had a friend bring me my shoes and bag when I ended up self rescueing at Keek, and walking the side of the train tracks back with my kite and board. Would have really sucked had he not brought me a bag and my shoes, walking barefoot on the sharp rocks back to the beach packing a wet kite and board. Last edited by theory on Fri Sep 11, 2009 2:03 pm, edited 1 time in total. Good for you for staying off the tracks! Robert wrote: Good for you for staying off the tracks! Or, one might say "It is good for everyone to stay off the tracks". Where do newbies kite in the winter? I spent a lot of time IN the water the last time I kited on the Delaware shore back in August and heard DB is a good newbie spot. I'm new to Seattle so what do folks suggest for other good locations in/around Seattle? I work at Pier 36 and live in Mags - this will be my first winter in the PacNW! I am superpsyched to get out and ride...I'm already looking at flights for the LA V trip! I'm actually in the same situation as you. I've only kited at Jetty Island during the summer. I can get up and start kiting fine, but staying upwind is a challenge. From what I hear DB is good since it's real shallow. However, it's usually onshore wind in southerlies, which isn't good for newbies. RB isn't shallow, but it's usually side-shore in southerlies. I'm going to try and get a few sessions in at RB before going to La Ventana this year since I'd rather live with deep water than I would a direct on-shore condition.